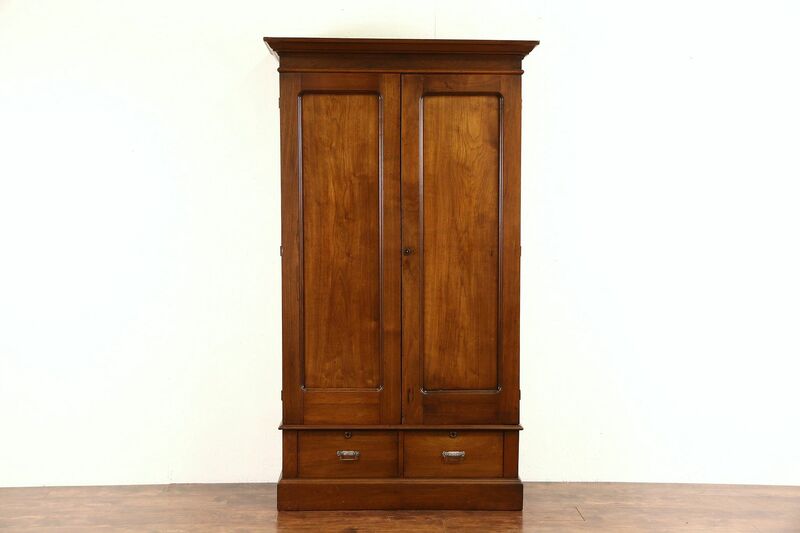 A solid walnut armoire, wardrobe or linen closet dates from about 1890. The restored finish is in excellent condition, preserving just enough mars and stains for a little antique character. Two lower drawers have dovetailed joints and original pulls. The door has a working lock and key on this classic American made furniture. The back is wainscoting and removable adjustable shelves are later. There is a warp to the right door, see photos. Interior depth is 14" and overall dimensions are 45" wide at the crown, 19" deep and 78 1/2" tall.